Smart Watch Or Fitness band? Its a question that we’ve been asked many times. So when the self-proclaimed biggest shopping day of the year, Black Friday came along, it was interesting to observe that fitness bands were heavily amongst the deep end of the discounts. This comes at a time when one report has indicated that Fitness bands will be gone by 2020, replaced by smart watches. On Black Friday 2015, did the retailers just give their biggest indication yet that they think the fitness band market is beginning to die? Today we’re diving into the debate, and looking at the pros and cons of buying a smart watch vs a fitness band. The Black friday pandemonium has finally hit the UK over the past two years, and technology products have been chief amongst the discounts. Once the preserve of cheaper-end TVs and the likes, wearables – most commonly including the fitness bands and activity tracker end of the market – found themselves wrapped-up in the bargain madness this year. Whilst clearly that in-itself is no damming indictment, as TVs, laptops and other such tech is hardly there to its detriment – it is maybe an indication that the technology isn’t quite living up to its billing. Clearly the three year old wearables space remains nascent. In blunt honesty, there remains scant little difference between many fitness bands and old-school pedometers – we covered this here – the former acting as a dressed up and somewhat glorified version of the latter. Despite this, perhaps pushed on by the shinier facade, the space continues to boom, at least for the time being. However it is set to slow, and as we explored whilst exploring Fitbit’s plans for 2016, including their firmware upgrade, the fitness band market has been forecast to be virtually dead by 2020. The killer of this particular ‘fad’ – can we call it anything else if it is set to die in just four short years time? 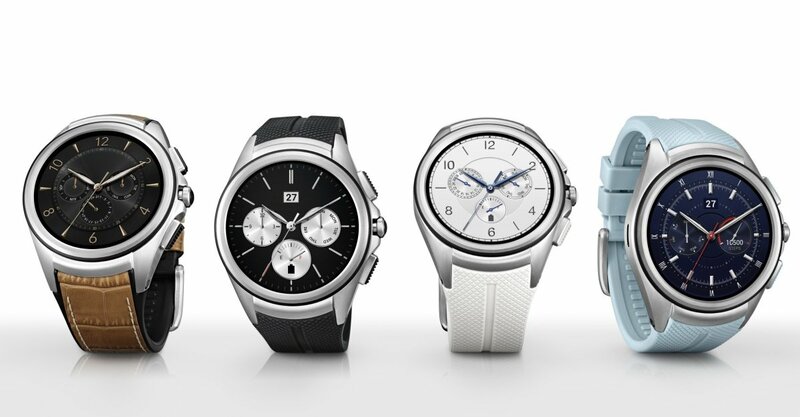 – is their bigger brother, the smartwatch. Fitness bands may therefore come to be seen as a product of their time, a first step in the market moving towards more all-encompassing devices. The bigger question remains – are consumers happy to dedicate their wrist space to a device which fundamentally only helps them track their fitness, when that wrist space is being competed for by the likes of luxury swiss watches and other tech products? When looking at whether you should buy a Smart Watch Or Fitness band, we have to principally consider the reasons for purchase. Whilst a lot of the wider media, including a lot of more general tech websites, are bucketing the two devices into the same camp, they do actually serve different purposes and have different use cases. The analysis of the use cases and the feature sets is therefore a key part of your decision making process. Below we will identify the key upsides in each device type. Its easy therefore to presume that there is little to no upside in owning a fitness band, if they are soon to be a fad consigned to the history books, but they do still have a few significant upsides. Activity trackers are cheaper, much cheaper, meaning that you can get a good range of tracking functionality out of a £30/$40 investment. If you want a single view of your activity, ranging increasingly across in-gym exercise and the ‘bonus’ activity of walking a flight or two of stairs rather than taking the lift, then these are still a winner. For the less active end of the population spectrum, they remain a solid investment in improving your health without breaking the bank. Certainly when you look at the whole Smart Watch Or Fitness band debate, you need to factor as much as 10x higher investment in the latter. Clearly that’s significant. Fitness bands are also made for purpose – they are specifically about tracking your health and fitness. Often case therefore, the health and fitness aspects of smart watches (fitness apps, sleep tracking, heart rate monitoring etc) are actually no better then those features on fitness bands. So if the main outcome that you;re seeking is a single viewpoint of your sleep and activity, then the better ROI clearly comes form the ten times cheaper bands. Fitness bands are also increasingly including a wrist based heart rate monitor. This means that the band has suddenly gotten much more significantly useful for proper fitness tracking, revolutionising its effectiveness in the gym. We looked at the science of heart rate monitoring here, and concluded that chest strap-less wrist monitors have some way to go to be as accurate, but they are improving. More interestingly, this feature has eroded a lot of the need to own heart rate monitor devices, as you get most of their upside in the gym plus day round tracking outside of it. So the downside of less accurate HRM reading is offset against the upside of day round measurement. Pro rata it backs out, and it will only get better. Before we get ahead of ourselves, there is still a big case for smart watches when considering the whole Smart Watch Or Fitness band argument. The emergence of the Apple Watch has led some commentators to speculate that the wearables space could become as common as smartphones. James Titcomb, writing for the Daily Telegraph was fairly disparaging of wearables in general in this piece here, but he does historically share the view that wearables will become ubiquitous. The first major upside of a smart watch over a band is the fact that it plays nicely with your smartphone – a device which we can all agree has definitely become ubiquitous. So this ability to hook up with your phone and pull in messages, emails and other such forms of communication helps highlight the major upside of the smart watch – it is much more than just fitness related. Slicker and more all-encompassing, richer in functionality and design – it is an actual watch, with upsides like telling the time which is not overly common bands. Much like your smartphone, the watch also has app support. 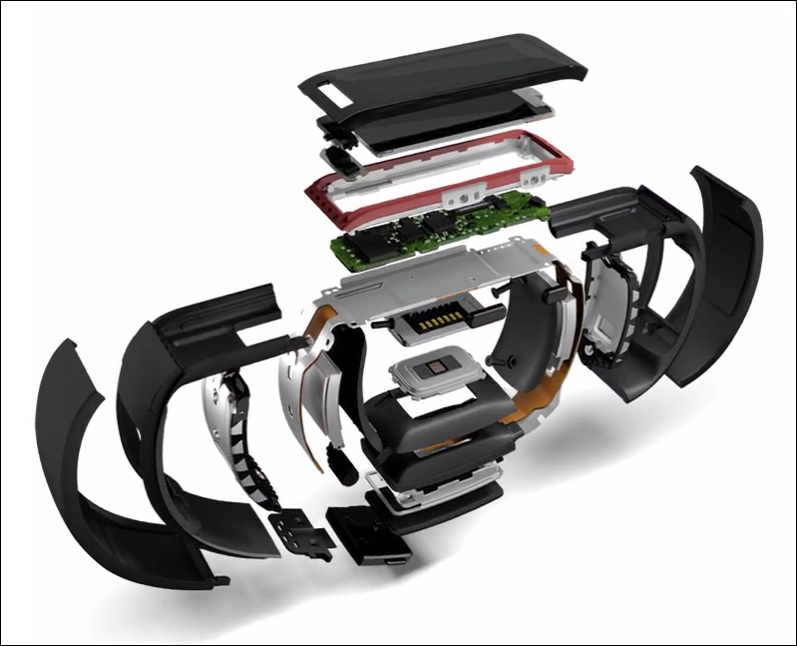 So the smart watch is infinitely customisable, especially for runners. When reviewing the Apple Watch, we concluded that its not there yet for runners – but we do believe it will get there, possibly beginning with the second generation which will be out in 2016. However, manufacturers like Polar and Garmin are heading full speed at this space, and we can expect devices which are optimised for the gym but which bring additional day-round benefits too. Smart watches are heavier on the features and therefore also on battery life. They’re also more showy – as whilst market pioneers are building fitness band technology into other wearables which standout less than gaudy bands – including tattoos – a smart watch will always stand out. Fashion verses tech – do you want fitness tech on your wrist vs a luxury swiss watch? This is fundamental to the debate. You have a school like Misfit/Fossil, who’re rushing to take advantage of the chic ‘cool factor’ and trying to build uber fashionable bands. Then you have the rafts of other companies who are increasingly trying to hide their fitness tech. Think about Sensoria, who recently essentially launched a fitness band [in terms of functionality], hidden in your socks. This is not dissimilar to Chaotic Monkey’s wearable smart-tatt tech, which we mentioned above. This is all part of making wearable tech more discrete and less overt – which could well be a key future trend. This plays against the smartwatch when debating whether to buy a Smart Watch Or Fitness band. So there likely is no right of wrong answer. It is very dependant on your own use cases, and what you want to get from the tech.